The Belt and Road Initiative (BRI) has, broadly speaking, two components—the Silk Road Economic Belt (SREB) on land and the 21st Century Maritime Silk Road (MSR) on sea. China’s Maritime Silk Road clearly segregates the economic-commercial-connectivity paradigm while avoiding the articulation of the military-naval dimension explicitly. It is silent about PLAN’s (People’s Liberation Army Navy) out of area deployments but emphasizes on the access-infrastructure dimension. Given that the ASEAN countries are situated directly in the middle of the MSR’s path it will have significant implications for the ASEAN region’s geopolitical landscape. Since the region constitutes significant sea-lanes for China’s maritime trade, and that more than 90 percent of global trade is carried through the sea routes, maritime connectivity with Southeast Asia would play a major role. Additionally, for Southeast Asia, it is of great consequence because it serves to establish one more supply route overland apart from offering alternative routes to seaports for its landlocked provinces. 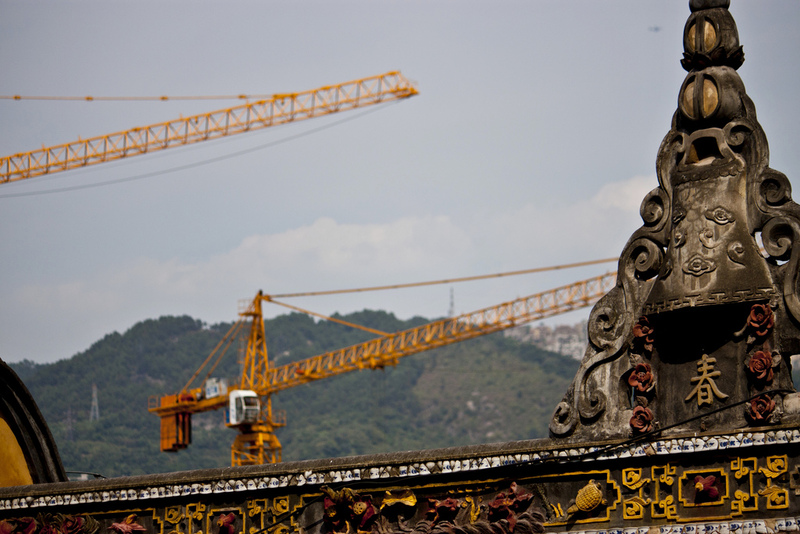 The BRI promises both opportunities and challenges for Southeast Asia. These countries, while looking forward to the BRI are cautious at the same time because of the difference in the economic scale and military superiority vis-à-vis China that gives China additional leverage over them. The opaque nature of the workings of the Chinese economy makes the countries of the region feel that in the times to come they may be forced to reciprocate Chinese regional and global interests. A serious concern in Southeast Asia is that China may use economic incentives as a tool to engulf these countries in a cooperation that will threaten the ASEAN way and ASEAN unity. ASEAN countries are also unsure of Beijing’s desire in laying out a vision of regional order, the core-periphery relations, the practice of reciprocity in China’s bilateral diplomacy, regional decision-making, and membership status that does not fit into ASEAN’s unique set of values and interests of the ASEAN way. The absence of consensus in the decision-making structure for the execution of BRI makes them uneasy of China’s attempts to play member states against one another that would undermine its consensus principle. A case in point is the issue of Chinese and ASEAN conflict management process in the South China Sea where China has been able to draw a wedge among member states in the ASEAN raising doubts about the utility of musjawarah (consultation) and mufakat (consensus). Although China has long propagated the idea of China’s peaceful rise, what must not be lost sight of is that as a corollary to China’s peaceful development the country will fight to preserve and defend its core interests such as their claims in the South China Sea (SCS). As such, with unsettled issues of sovereignty and jurisdiction over the disputed islands in the South China Sea ASEAN countries will continue to harbour misgivings about the mismatch in China’s pronouncements and actions. 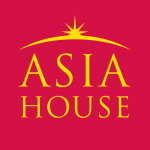 In the face of China’s rebuff of the ruling to the Permanent Court of Arbitration, in July 2016, together with its insistence on the sovereign interpretation of rights beyond the reach of international jurisdiction it is not surprising that ASEAN is afraid of China laying down the terms and fear that Beijing would retaliate if it does not conform to its views, given that the Asian giant has the means to force its intent either through aggression, economic sanctions or by offering economic aid. ASEAN countries will, therefore, continue to remain cautious about Chinese intransigence and implications stemming from China using commerce as a tool to expand to its geopolitical and geostrategic influence. Southeast Asian countries are apprehensive of the consequences of accommodating the values and interest of China as much as they are wary of becoming overly dependent on the country. Consequently, they would like to probe into the intended benefits from the project along with China’s intent to use its power. The dilemma for the ASEAN countries is that while remaining skeptical about whether the MSR can make use of proximity and contiguity by land as well as sea to foster mutually beneficial ties or whether under the guise of the MSR China will further its geostrategic objectives and project its economic and maritime power, they do not want to miss the BRI bus that promises opportunity to fill critical gaps in their infrastructure and bring immense benefits. For instance the Master Plan on ASEAN connectivity 2015, which seeks to expand the region’s railway networks has seen very little progress in execution due to the economic situation. This is where China’s economic might comes into play. The BRI offers the much-needed investment for connectivity-related infrastructure construction etc. One way out of this predicament will be for ASEAN to speak in one voice and knit the SCS issue as an integral part of the implementation of the MSR and highlight the correlation between China-ASEAN economic interdependence and dispute settlement in the South China Sea. Mere facilitation without meaningfully addressing the importance of making the deepening economic integration and growing interdependence inclusive, together with issues such as piracy, which has emerged as a major threat for maritime routes, cannot drive trade flow upwards. Given the situation of enduring regional suspicions and unresolved territorial disputes, the expansion of China’s geopolitical power could further spur major power contests for primacy. ASEAN member states are uncomfortable with China seeking to define its regional relationship in the context of competition with other major powers. As for the notion about gains that will result from China’s BRI and economic interdependence such a possibility can arise only if Beijing is able to reassure and dispel the deep rooted fear among Southeast Asian countries that it has no plans that go beyond building roads, laying railways, upgrading ports and boosting trade and instead demonstrate that it’s intentions are peaceful. Implementing the belt and road agenda will therefore, require a high level of mutual cooperation, understanding and trust and unless that happens there will be reservations about Beijing’s intent. Dr Munmun Majumdar is Associate Professor at the Department of Political Science North-Eastern Hill University, Shillong, Meghalaya, India. Image credit: CC by Jack Zalium/Flickr.